Are you looking to buy a Worldmark by Wyndham timeshare? The key to getting the best value and service for a Worldmark timeshare is by purchasing a resale membership at 80% less than retail cost from a licensed real estate company with an A+ rating with the Better Business Bureau. At World Timeshare Club we offer the best selection, service and value of any company in the world selling Worldmark by Wyndham resale timeshares. Click here to learn more about buying a Worldmark by Wyndham timeshare. Worldmark By Wyndham timeshares are different from other timeshares that you might have thought about. Traditional timehares require you to buy time and stay at just one specific property. You are stuck with that one timeshare and location forever. However, when you buy a Worldmark timeshare, you get to use your credits at over 70 Wordmark by Wyndham properties. Call us at 360.876.4777 right now or see our inventory today to buy a Worldmark by Wyndham timeshare at 80% off of retail prices. 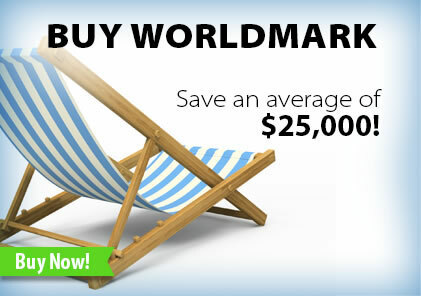 Buy Worldmark By Wyndham at 80% off retail pricing.